A Ghost Story is deeply intimate, funnier than I ever expected and beautiful to look at; the haunting synthesized theme song even got my angsty millennial toes tapping. Watching the film is a tremendously engrossing experience. Actually thinking about A Ghost Story, though? Much less so. Roger Ebert, patron saint of film critics, warned of films that are “easy to call great.” They often seem transcendent in the moment, but once they’re over, you realize their emptiness. A Ghost Story is one such film. 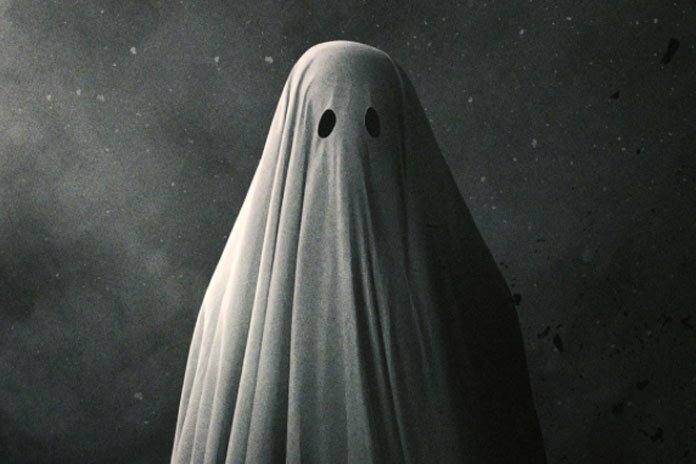 Thankfully, A Ghost Story wastes no time killing Casey Affleck and sticking his character under a bedsheet in a mostly dialogue-free role. Affleck spends the first act watching his widow, played by Rooney Mara, grieve during long static takes. Some of these “fly on the wall” moments are fascinating to watch in isolation, but their sum doesn’t offer any insight about grief or pose interesting questions. It’s just clips of a great actress pouting in beautifully filmed scenes. Nothing more. Mara moves out of the house she shared with her husband, but Affleck’s ghost stays behind, experiencing rapid time jumps into the future while he haunts new occupants. As the world keeps spinning, Affleck’s identifiable human characteristics slowly disappear underneath the bedsheet because his life’s impact on the world is waning. I know this because in another completely unnecessary 5-minute scene, Affleck crashes a house party and listens to a drunk hipster ramble on about time, our place in it and how our influence on the world wanes. Thanks, A Ghost Story. I appreciate you explaining that. It’s not like the bedsheet itself implied that at first glance or anything. Eventually, Affleck ends up back in the 18th century on the plot of land that will someday become his house and experiences the history leading up to his death. It’s a nod to that popular Mark Twain quote (that isn’t as clever as folks think it is) about not fearing death because we don’t fear the time before we’re born. Again, it’s really neat to watch a ghost hopping back in time, and some of the historical imagery is breathtaking. But it’s all in the service of themes that are kind of naïve. It feels like all I’ve done is criticize A Ghost Story, but I really did like the film. I mean it! I’m just disappointed it’s not the thoughtful, conversation-starting film it so clearly wants to be. On a purely technical level, it’s impressive, and there are few films like it. But that doesn’t mean it’s a particularly smart film. And it’s certainly not the grand meditation on life and death that it is being praised as. Still, you should check out A Ghost Story. It’s a trip.